Recently google invited media for their Launch event on 4th October. On this day they're expected to launch Pixel 2 and Pixel 2 XL. 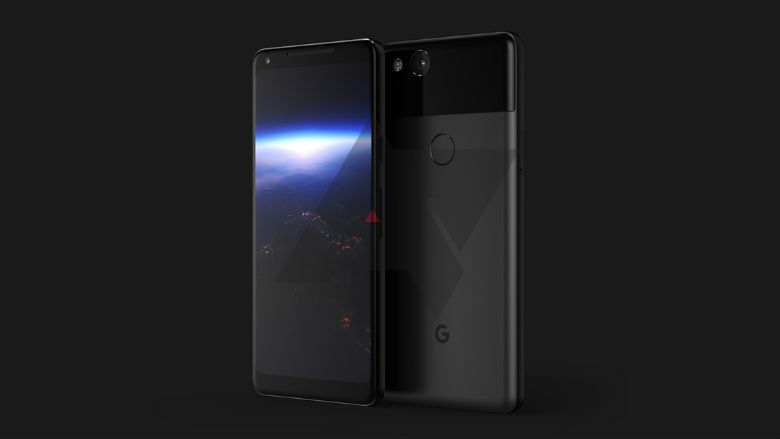 Render leaks shows that Pixel 2 is manufactured by HTC and Pixel 2 XL is manufactured by LG.Talking about the pricing, Pixel 2 will start from $649 and Pixel 2 XL will start from $849. 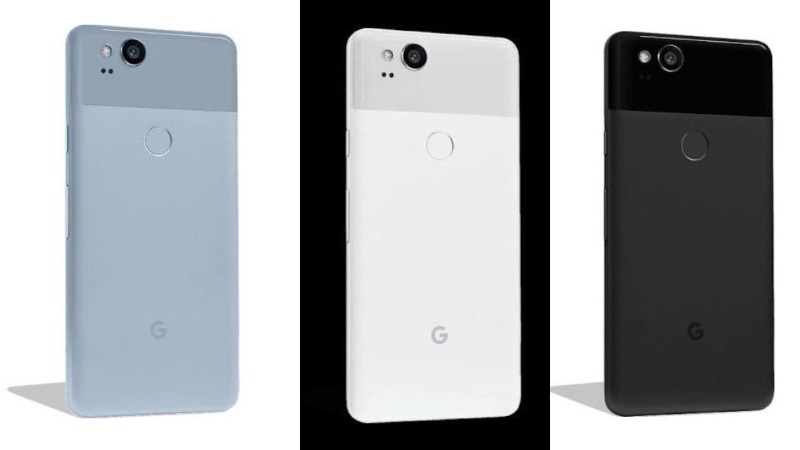 The above picture shared by Droid Life shows Pixel 2 XL will be available in three color variants black,white and blue. One thing that has disappointed me is that these devices wont be having a dual camera setup at the back. Instead google will stick to a single camera setup as far as Pixel 2 and Pixel 2 XL are concerned. But talking about the single camera performance of Google Pixel, it was amazing and we're sure that Pixel 2 and Pixel 2 XL camera wont be disappoint us. Talking about the pricing in detail, The Pixel 2 will be available in 2 variants i.e 64GB and 128GB. The 64GB variant will be available for $649 and the 128GB will be available for $749.On the other hand Pixel 2 XL will also be available in 2 variants i.e 64GB and 128GB. The 64GB variant will be available for $849 and the 128GB for $949. As far as Specifications are concerned, the Pixel 2 will sport a 5 inch Amoled Display. And will be having 2Ghz Octa core Processor running on Snapdragon 835 Chipset.According to rumours this device will be having a 12MP Rear camera and 8MP front camera.It'll also be having a Squeezable Frame just like HTC U11. 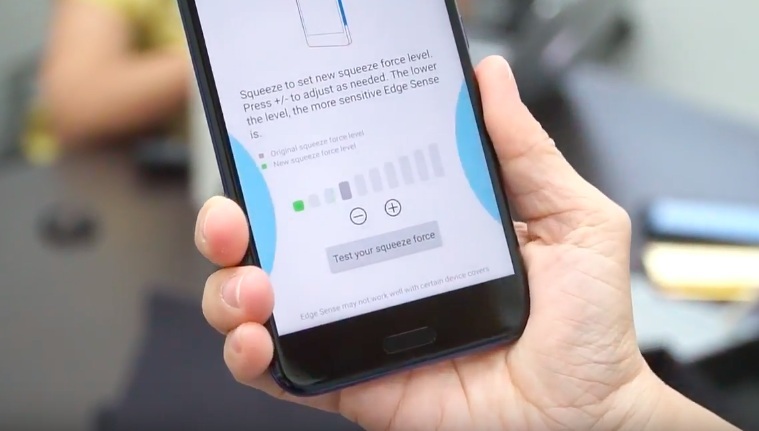 Talking about Pixel 2 XL, this device will be having a Bezel Less 6inch Amoled Display, with 4GB of RAM and 2.4Ghz of Octa Core processor also running on Snapdragon 835 Chipset. Well the entire specifications are not known yet, so all we have to do is wait for the Official Launch event of Google which will be on 4th of October. But the specifications known right now are not impressive as it is meant to be a flagship device. And talking about the competing flagship devices, the specifications doesn't seem to compete with them. What are your views on Pixel 2 and Pixel 2 XL, let us know in the comment section below.